The videos show a series of cats reacting when they look up from their food bowl and spot a cucumber. Behaviorists say this amounts to a bad practical joke. 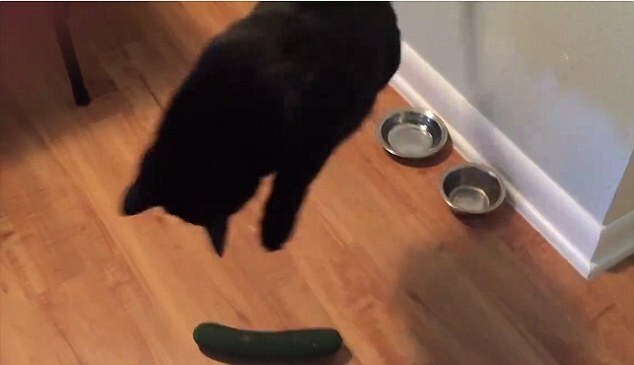 Meanwhile, the cat vs. cuke controversy keeps ratcheting up. 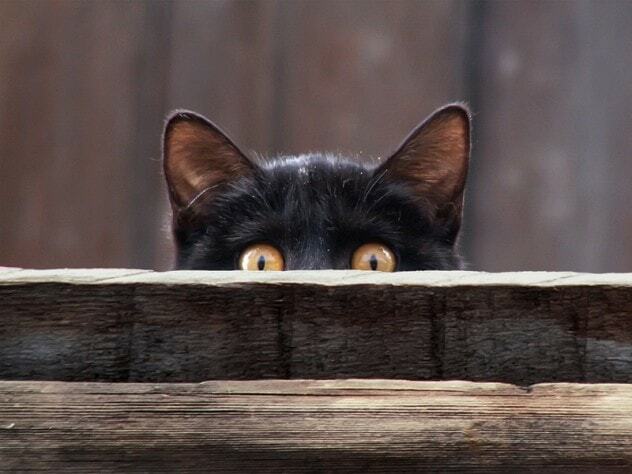 Videos are being posted that cry foul: “Cats are not afraid of cucumbers. The videos are fake.” Here’s one that shows a bored cat calming regarding a cucumber near its food bowl. Mikel Delgado, a certified cat behavior consultant, told The Huffington Post that “cats vs. cucumber” videos make her cringe. “This veers into ‘humans doing things just to freak out their cats and film them for the internet’ territory, which I don’t feel benefits most cats,” Delgado wrote in an email. Cats associate the place they eat with security and safety, Think Like a Cat author Pam Johnson-Bennett told National Geographic. Animal behavior specialist Roger Mugford agreed. “I think that the reaction is due to the novelty and unexpectedness of finding an unusual object secretly placed whilst their heads were down in the food bowl,” he told The Telegraph. Some experts say that the cucumber’s shape might remind cats of snakes, but Delgado discounts that notion because cats hunt snakes. Either way, she said, it’s not nice to prank your cat. Can a Robot Cat Make Seniors Happy?